With branches in 22 locations across three states, EOS Fitness is everywhere if you live in Nevada, California, or Arizona. Cities covered include Phoenix, Avondale, Encrinitas, Mesa, Gilbert, North Las Vegas, Las Vegas, Henderson, Murrieta, Scottsdale, Glendale, Palm Desert, Palm Springs, Peoria, San Diego, Temecula, and Tempe. EOS Fitness has got your workout needs covered with well-equipped facilities, dedicated and licensed trainers and personalized training programs. EOS Fitness is not just a gym, it’s a place for everyone – from athletes to weekend warriors. Launched in mid-2014, EOS Fitness had one simple goal, to make sure that the absolute potential of each of its members is achieved. From its humble beginnings, EOS has grown into a multi-branch gym, but the vision was not lost. 3 years and 22 branches after, EOS still has that same drive it had from the start. They are driven to improve and succeed and they see every step as new discoveries. Operating round the clock and throughout the week, EOS Fitness is always ready to provide the members’ workout needs. And with multiple locations, there will always be an EOS Fitness gym nearby. For those who want to try out their facilities and services before enrolling as full member, EOS Fitness offers a 7 day free pass. That’s how confident they are that people will keep coming back. EOS Fitness gyms are available 24/7 and in multiple convenient locations. Members are covered in terms of both time and location, whether they are specialized athletes or the occasional weekend warriors. EOS Fitness can provide certified personal trainers to members who want a one-on-one training program. Cost depends on the duration and intensity of the training. Bringing a personal trainer can be arranged with EOS Fitness. The trainer should also be a member and hold proper certifications or affiliations. EOS Fitness has everything to fill the needs of its members. No wonder it has grown from a single branch to 22 and across 3 states. Cleanliness is of utmost importance and EOS Fitness makes sure that the facilities in all branches are kept clean. Personal and hygiene areas are equipped with clean and organized locker and shower rooms. If the greatness of a gym is judged by the facilities it offers, then EOS Fitness will top them all. They have state of the art equipment, cardio and strength training areas, and group exercise classes for those who want to mingle and socialize. EOS Fitness is open to all so there are members from all sorts of crowd, but they make sure that the area is enough for a good workout. This makes working out even more fun because there are different types of people to interact with. If members need to bring along their tots to the gym, EOS Fitness offers child care on specific hours. The best time to workout, however, is late at night or early in the morning. A 7 day free trial is offered to those who want to try the EOS Fitness facilities. After that, it’s just $9.95 per month if members want the basic package. There are multiple membership packages available, each with its own set of features and workout access. The higher the plan cost, the more of the gym the member will have access to. 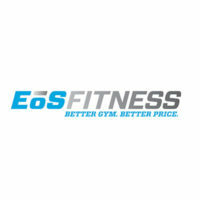 Depending on the location and the promotions being offered by EOS Fitness, discounts are available through promo codes. Accessing different areas is possible by upgrading the plan. This is convenient for those who decide to get more advanced plans. EOS Fitness offers a 7 day free pass for new members. This is perfect for those who just want to try what they have to offer. Members can also bring along a friend for free. The workout buddy can work out for 7 days for free. EOS Fitness has workout facilities for both cardio and strength training. Members can choose any equipment, depending on their membership package. There are free weights and machines that can be used for traditional or specialized workout routines. EOS Fitness offers free consultation with specialized and trained personnel. This ensures that problems are avoided and accidents are prevented. There are also multiple classes like Yoga, Boxing, and Pilates, among others. Access depends on membership package. This entry was posted in Uncategorized on September 27, 2017 by author.